In this week before ABC's spring really gets started (kicking off with the premiere of American Idol on Sunday, which leads into new drama Deception), I am making one change in my predictions. I didn't expect to be making a decision one way or another on Speechless before the spring comedies arrived, but I'll explain below what has compelled me to move it from toss-up. 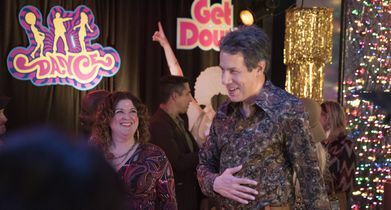 Speechless: This week, Speechless continued to make its case for renewal, and due to this continued case (with a 1.2 between a 1.5 and 1.4 this week), I think that how the spring comedies perform doesn't much matter when it comes to this show's fate. Speechless has shown that it isn't as weak as it looked in the fall, and I think it will be simply moved to a different timeslot (such as Tuesday at 9:30) rather than canceled. Kevin Probably Saves the World: Kevin remains certain to be canceled despite its finale spike, as that spike was due to a strong Bachelor lead-in, and the spike was only to 0.7, not all that impressive. This has been one of the most interesting shows to predict this season, as I was predicting renewal at one point, but am now certain that it will go the other way.